That's it for today, Ovidiu Hategan has blown his whistle and the game is over. Ondrej Kudela (Czech Republic) makes a bad challenge and the referee blows his whistle for a foul. Martin Frydek (Czech Republic) fails to pick a body out in the box with an over-hit chip pass. Goal! Gabriel Jesus (Brazil) fires the rebound inside the right post after the ball breaks to him in the box. The score is 1:3. 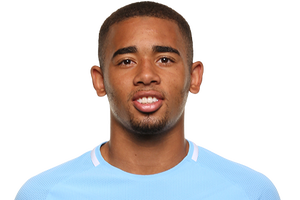 Gabriel Jesus (Brazil) had time and space inside the box after picking up a neat pass, but his shot low towards the middle of the goal was comfortably saved by Jiri Pavlenka. The corner from David Neres (Brazil) is hurriedly cleared. David Neres loses the ball after receiving a sweet pass from Danilo (Brazil). The ball is out of play. Brazil win a corner kick. The referee signals that it is time for a substitution and Fabinho (Brazil) is coming onto the pitch as Roberto Firmino cannot continue after picking up an injury. Jaroslav Silhavy decides to make a substitution. Jaromir Zmrhal will be replaced by Jakub Jankto (Czech Republic). Goal! Gabriel Jesus (Brazil) scores after an assist by David Neres that allowed him to tap in the ball into an empty net. The score is 1:2. David Neres latches onto a perfect defence-splitting pass from Danilo (Brazil) and heads towards goal. The corner from Everton (Brazil) is intercepted by the defence. Everton (Brazil) sends a pass into the box, but the opposition's defence is alert to the danger and makes a clearance. The ball is out of play and the linesman points at the corner flag. Corner to Brazil. Everton (Brazil) looks like he will be the one to take the corner kick. Danilo (Brazil) slaloms his way past challenges, but an opposing player does well to get the ball away. Brazil earn a corner. Vladimir Coufal (Czech Republic) races towards goal but the defender gets back well to make a challenge. David Neres (Brazil) receives a great pass inside the box and misses a golden chance. The goalkeeper pulls off a stunning save. Alex Sandro (Brazil) sprays a pass out to Gabriel Jesus, but he can't beat his man inside the box. Alex Sandro (Brazil) and Everton combine well with a quick one-two and their attacking move continues. Here is a change. Philippe Coutinho is going off and Adenor Leonardo Bacchi gives the last tactical orders to Gabriel Jesus (Brazil). Here's the change. Casemiro leaves the pitch and Arthur (Brazil) comes on as a substitute. Philippe Coutinho (Brazil) swings the ball into the box from the corner kick but it's a bit too strong and it goes out of play. A pass from David Neres (Brazil) is intercepted by Jiri Pavlenka and the move breaks down. The ball is out of play. Brazil will have a chance to score from a corner. Jaroslav Silhavy has decided to substitute David Pavelka and he is replaced by Alex Kral (Czech Republic). The ball is cleared after Roberto Firmino (Brazil) attempted to dribble past an opposing player. Matej Vydra (Czech Republic) goes on a solo run, but he fails to create a chance as an opposition player blocks him. Matej Vydra (Czech Republic) is adjudged offside. Adenor Leonardo Bacchi has decided to introduce fresh legs, with David Neres (Brazil) replacing Richarlison. The resulting set piece from Brazil is comfortably intercepted by one of the defending players. Philippe Coutinho (Brazil) produces a ferocious strike from the edge of the box. His dangerous effort towards the bottom right corner is blocked by Jiri Pavlenka, who pulls off a superb save to keep the ball out of the net. Brazil will take a corner kick. David Pavelka (Czech Republic) seems to be alright and is okay to carry on. Tomas Soucek (Czech Republic) hasn't suffered any serious injury which would see him leave the pitch. He's back in the game now. Looks like David Pavelka (Czech Republic) is struggling after picking up a knock. Hopefully he can run it off. Tomas Soucek (Czech Republic) is having a really tough time right now. We are about to find out how serious his injury is. Jaroslav Silhavy prepares a substitution. Ondrej Celustka is replaced by Ondrej Kudela (Czech Republic). Ondrej Celustka (Czech Republic) picks up an injury. Vladimir Darida has picked up an injury and is replaced by Martin Frydek (Czech Republic). The game is interrupted now, Vladimir Darida (Czech Republic) picks up a knock and the physio has to come on. Substitution. Matej Vydra (Czech Republic) receives a signal from the referee and is now allowed to enter the pitch as Patrik Schick walks off. Goal! A mistake from the defence gifted a chance to a lurking Roberto Firmino (Brazil), who keeps his cool and rolls the ball into the net from close range. 1:1. Jaroslav Silhavy makes a switch. Theodor Gebre Selassie is coming on in place of Filip Novak (Czech Republic) at the start of the second period. Half-time substitution. Lucas Paqueta (Brazil) is replaced by Everton. Referee Ovidiu Hategan blows his whistle to start the second half. Jaromir Zmrhal (Czech Republic) produces a dangerous low pass into the penalty area, but the defence manage to cut it out. Ovidiu Hategan shows a yellow card to Richarlison (Brazil) for a tough tackle. What a beauty from just outside the box! David Pavelka (Czech Republic) lashed the ball with incredible pace and power into the bottom left corner. Filip Novak (Czech Republic) gets to the rebound outside the penalty box and unleashes a long-range shot towards the right post, but Alisson makes a decent save to stop the effort. Alisson leaps to collect the ball from the corner which was sent over by Vladimir Darida (Czech Republic). Vladimir Darida (Czech Republic) takes a shot from the edge of the box, but it's not a big threat for the goalkeeper as his effort is blocked by a defender. The ball goes out of play. Czech Republic are awarded a corner kick. Vladimir Coufal plays a lofted pass into the six-yard box. David Pavelka (Czech Republic) gets his head on the ball but balloons it high over the bar. Danilo (Brazil) serves up a nice cross, but the defence clears the danger. Tomas Soucek (Czech Republic) sends a cross into the box, but the opposition's defence clears the ball to safety. Lucas Paqueta (Brazil) plays a through ball but overhits it. Jiri Pavlenka reacts well to deny a long-range free kick from Casemiro (Brazil) towards the middle of the goal. David Pavelka (Czech Republic) is penalised after knocking an opponent down. Brazil earn a free kick. Vladimir Darida (Czech Republic) takes a long-range free kick and whips it into the box. The goalkeeper reads it well and leaps high to intercept the ball. A yellow card for a tackle by Casemiro (Brazil). Ovidiu Hategan doesn't hesitate at all to make this decision. Tomas Soucek (Czech Republic) attempts to turn the rebound in from close range. Nevertheless, the goalkeeper pulls off a stunning save and stops the ball from hitting the net. Great goalkeeping. Patrik Schick (Czech Republic) stands over the free kick and opts to take it himself, sending the ball towards the bottom left corner only for Alisson to dive and make a save. Ovidiu Hategan blows for a foul after Marquinhos (Brazil) was too aggressive in the battle for the ball. Czech Republic will take a free kick. Vladimir Darida (Czech Republic) takes the corner, but it's intercepted by the defender. He should have done better. Allan (Brazil) is afforded space to connect with a Alex Sandro cross, but his header from the centre of the box flies well wide of the right post. Philippe Coutinho (Brazil) floats the free kick into the box, but it's easily cleared by the first man. David Pavelka (Czech Republic) commits a rough challenge and Ovidiu Hategan blows his whistle for a foul. A free kick has been awarded to Brazil. Richarlison (Brazil) unleashes a missile of a shot towards goal, but his good effort is blocked by one of the defenders. Richarlison (Brazil) and Roberto Firmino combine well with a quick one-two to trick their opponent. Lucas Paqueta (Brazil) sends a beautiful cross into the penalty area, but the opposition's defence manages to clear the ball to safety. Lukas Masopust (Czech Republic) attempts to slip the ball through the defence, but is unable to find any of his teammates. Filip Novak (Czech Republic) pulls the jersey of one of the opposition players and Ovidiu Hategan blows his whistle for a foul. The game is interrupted. Vladimir Coufal (Czech Republic) has violated the rules in the battle for the ball. No protests or gestures are being made as he is quite aware of what he did. Ovidiu Hategan blows the whistle, Lukas Masopust (Czech Republic) is penalised for a foul. Filip Novak (Czech Republic) tries to send a pass but it's blocked. Philippe Coutinho (Brazil) makes a driving run into the box but he cannot work any space for a shot. Brazil are happy to keep the ball as they wait for gaps in defence to open up. However, an opposing player steps in and clears. Philippe Coutinho (Brazil) looks to break free, but an opposing player clears the ball away. Vladimir Darida (Czech Republic) produces a cross from the resulting free kick far from the goal, but there's no one to really attack the ball and the goalkeeper gathers easily. Casemiro (Brazil) should know this behaviour is beyond the rules. He was too careless with his challenge and left Ovidiu Hategan no option but to blow his whistle. Vladimir Coufal (Czech Republic) fails to find any of his teammates inside the box as his pass is blocked. Ovidiu Hategan is the one to supervise the game today.